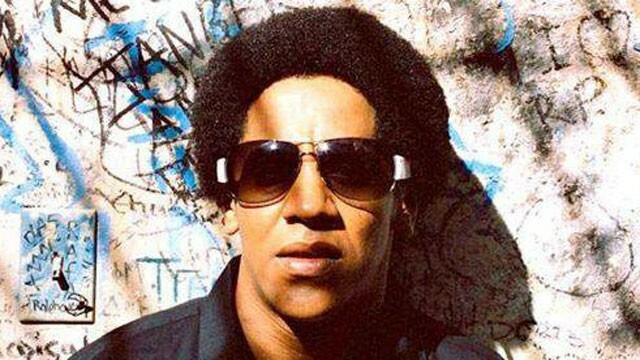 He was never flashy, even when reggaeton exploded into the mainstream circa 2005 with Daddy Yankee’s “Gasolina.” While Yankee, Don Omar, and Wisin y Yandel were basking in the spotlight, Tego Calderon stayed in the background, experimenting with a sound that was never solely reggaeton or rap. It was poetry, informed by the rhythms and circumstances of his island. Calderon’s sense of responsibility to make music with a message was handed down. From his late father Esteban, he inherited an appreciation for the older, socially conscious salseros like Ismael Rivera, who exposed racism in Puerto Rican society. Since the early days, when he released 2004’s El Enemy de los Guasibiri up until his most recent work like “Robin Hood,” off his latest album, The Original Gallo del Pais, Calderon has tackled topics like corruption and inequality. And as Puerto Rico continues to grapple with issues like skyrocketing crime, Calderon continues to stay true to that urban vigilante persona. At 40, Calderon continues to perform for loyal fans all throughout Latin America, dabbles in acting (Illegal Tender, Fast Five), and commands the respect of his peers and the music industry as a whole. The Original Gallo del Pais was nominated for a 2012 Latin Grammy in the Best Urban Album category (the award went to Don Omar). A recent phone conversation while he was promoting his latest album reveals that these days, Calderon seems content with his life and fulfilled as an artist and a family man. Whether people buy his music or not almost doesn’t matter, because on any given day, you’ll find Tego Calderon in “El Sitio,” his home and recording studio in Santurce, P.R. – doing what he does best. How has having your own creative space helped your music? I’m always in there, experimenting or thinking about creating something. It’s a place where my children and I can play – I don’t really like to have too many people in there and I don’t really let other artists use it. That’s what was missing for me – a place to be focused. Now I drink less and the process is that much faster. I feel like my conscience can continue to be awakened. What did you learn from your experience having signed with a major record label like Atlantic in 2005 and then eventually going back to being independent? Do you have any regrets about trying to go that route? I’m happy. The most important thing for me was not the money – forget about the millions. I own the rights to all my songs and that’s an incredible thing – to have control over my own music, to what I created. That was a stage in my career that didn’t work out and the lesson was, dust yourself off and keep moving. That’s part of what has me creating so much music from an honest place. And even though it’s sounding more folkloric these days, it still has that edge, that attitude, that message to it. Life always has a path for you. Fat Joe once told me that he considered you the Latin Tupac, he said you had “crazy flow” and your “lyrics are straight street.” What do you make of that comparison? I will always accept a compliment. But everyone has their own lane; we’re all individuals, know what I mean? The respect that my community and peers show me is something that really moves me, because they see that I’m still there. Life has allowed me to do what I do, and it’s a very special thing, so I have a debt to continue to work at it and pay attention at what’s happening around me. What is your stance on the Puerto Rico statehood issue? I’ve always had my point of view and it’s that we should be independent, we should not be a state and we should not continue to be a colony, either. I think it’s the best thing for my country, after so much abuse. Where does your saying “El que sabe, sabe” (he who knows, knows) come from? That’s something I picked up on the street. Those sayings, which your grandparents teach you, those are like the Bible to me, because they’re all about wisdom. Even if in different countries they’re phrased differently, they still teach you the same things.